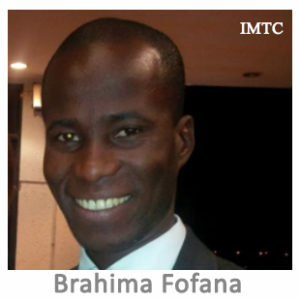 Brahima Fofana is a young entrepreneur from Cote d’Ivoire ( Ivory Coast) based in Philadelphia with a computer science associate degree. He is a CEO & Founder of AfBit Startup which won the community building RemTECH awards 2018. AfBit aims to operate money remittance business from USA to Africa using bitcoin and the blockchain technology. He left his country to pursue his studies in South Africa back in 2012 and had an opportunity to start a business as an Independent Field Advertiser at Clientele Life assurance one of the top insurance company where he performed his marketing skill and later became a professional presenter for the company. He developed the skill of network and internet marketing which lead him to discover the bitcoin and blockchain technology beginning of 2015. His passion for innovation and technology lead him to become a retail bitcoin trader and today he is about to launch his own startup AfBit by the sponsorship of Hugo Cuevas-Mohr President and CEO of Mohr World Consulting (MWC), Olivia Chow founder of Yokip Consulting and the IMTC. His hunger and determination for success into the money transfer business make him an enthusiast, action taker and coachable entrepreneur.